What is Electromagnetic Suspension System and How it Works? Remember the days when developing an automobile vehicle simply required assemblies of bunch of mechanical components with little bit of electronics and mechanical movement of these components made it possible to run a vehicle. Alas! Those were the golden days for a mechanical engineer. With the advancement in technology now days, An automobile vehicle is a function of 50% mechanical and 50% electrical components that works together to make it possible to run a vehicle and also make the vehicle efficient and quick responsive. In other words we can say that “Now modern automobile vehicles have got some brains”. 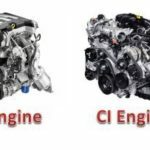 So today in this article we will dig in about one of the major advancement in smart automotive systems i.e. Electromagnetic suspension system. 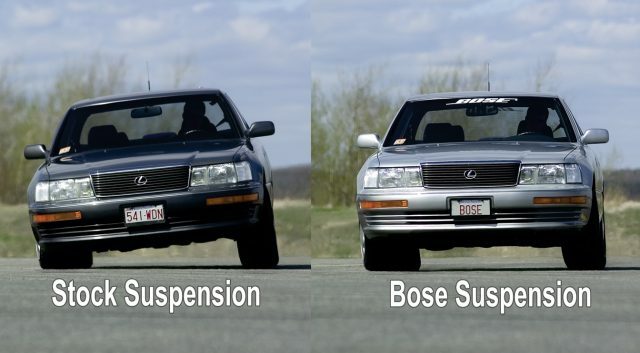 An electromagnetic suspension system in today’s high end hatchback and sedan cars is simply the same McPherson strut (refer article on suspension system) used in normal cars but with a smart design alteration i.e. 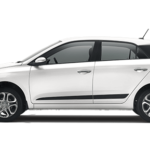 use of electromagnets inside dampers of its suspension system that are controlled by the electronic control unit of the vehicle, which makes the suspension 100% more quick responsive and efficient, which in turn makes the ride more smooth and remarkably stable. What makes it worth to spend some extra money? Taking a sharp turn at high speed is always risky due to chassis roll provided by the centrifugal force but in cars equipped with electromagnetic suspension the chassis roll is almost negligible due to their high electronically controlled damper’s stiffness. Bumps on city roads are the flow breakers when it comes to luxury and comfort, but when we talk about the cars with electromagnetic suspensions then these road bumps fail to affect the comfort of the passenger due to their high electromagnetically controlled damping which resists road shocks to affect the chassis of the vehicle. When we talk about little off road rides like going through few Indian villages with normal Macpherson struts, the ride feels none less than a roller coaster ride with so much stomach twists which cannot be accepted but if we switch the suspension with Bose’s electromagnetic suspensions due to their independently controlled suspensions with all wheel smart stability sensors we can comfortably enjoy our drink even in twisty rough terrains. Application of ECU controlled electromagnets in suspension make it 100x quick responsive than simple Macpherson strut, these suspensions can response impressive number of times within a second due to their smart stability sensors controlled by electronic control unit of the vehicle. 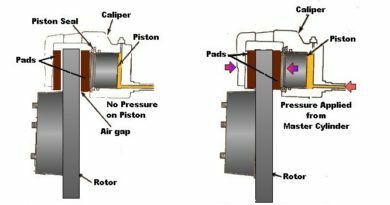 Wear and tear is biggest disease when we talk about mechanical components, which is not at all a disturbing problem in electromagnetic suspension system as they are smart systems with minimum mechanical interference which in turn decreases the overall maintenance and increases the system life. 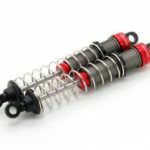 What is Shock Absorber and How it Works? The only little cons of applying these smart electromagnetic suspensions are their high cost and design complexity. As we have already discussed that electromagnetic suspension system is the result of little advanced modification in damper of simple Macpherson strut suspension, so the construction of these two is almost same. 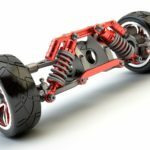 Lower arm– Same as the Macpherson strut, A lower arm is a ‘A’ shaped 2-DOF linkage used to connect the wheel to the chassis through lower mounting point of the wheel’s knuckle. Knuckle or upright – It is the component which is used as mounting for number of components of suspension, steering and brake systems of a vehicle, in Macpherson strut and electromagnetic suspension system knuckle is used as the lower arm and upper damper mounting component that connects the chassis and the wheel according to the designed angles. 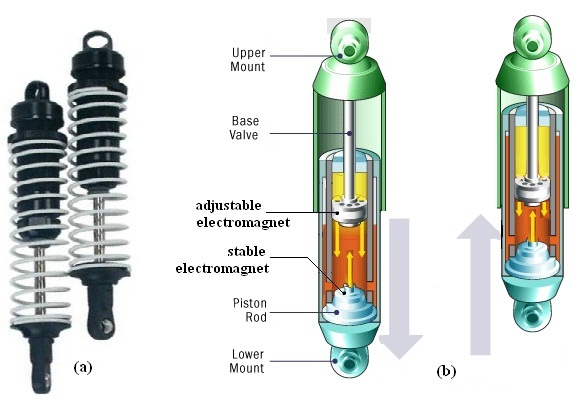 Spring and damper assembly (for detailed construction read our article on dampers)- In electromagnetic suspension this is the component where modification in the construction is made which makes it different from that of Macpherson strut . Inside the damper of the electromagnetic suspension, numbers of electromagnets (with copper winding) are fitted inside the circular piston having fluid channels over its body, these electromagnets are connected to the electronic control unit of the vehicle for the inputs. The fluid inside the damper of electromagnetic suspension is mixed with the numbers of metal particles which are responsible for damping control and stiffness of the dampers. Sensors– Number of sensors are used with different components of electromagnetic suspension which makes this system smart and quick responsive, these sensors sense the requirement of the ride and sent signals to the ECU of the vehicle in order to control the suspension accordingly and are responsible for stability of this electromagnetic suspension system. Electronic control unit– This is also called the brain of the modern automobile vehicle as it controls almost all the systems of the modern automobiles just like a smart robot, ECU is a programmed chipset that works on different algorithms for different system of a vehicle in order to smartly control the different systems of a vehicle. Of course the battery of the vehicle is used as the power source for the ECU as well as all the electronic parts of the smart automobile system eg- electromagnets in electromagnetic suspension system. When driver turn on the car, the ECU of the vehicle got activated and start to take and send out inputs and outputs respectively. In case of electromagnetic suspension when any bump or a turn is sensed by the number of sensors of this system the input is sent to the ECU which in turn process the information and controls the current output to the electromagnets inside the damper’s piston of electromagnetic suspension. 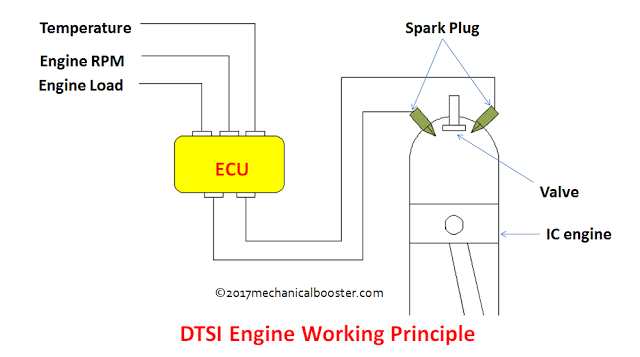 With the current input sent by the ECU, electromagnets inside the damper’s piston got activated and start generating magnetic field accordingly. 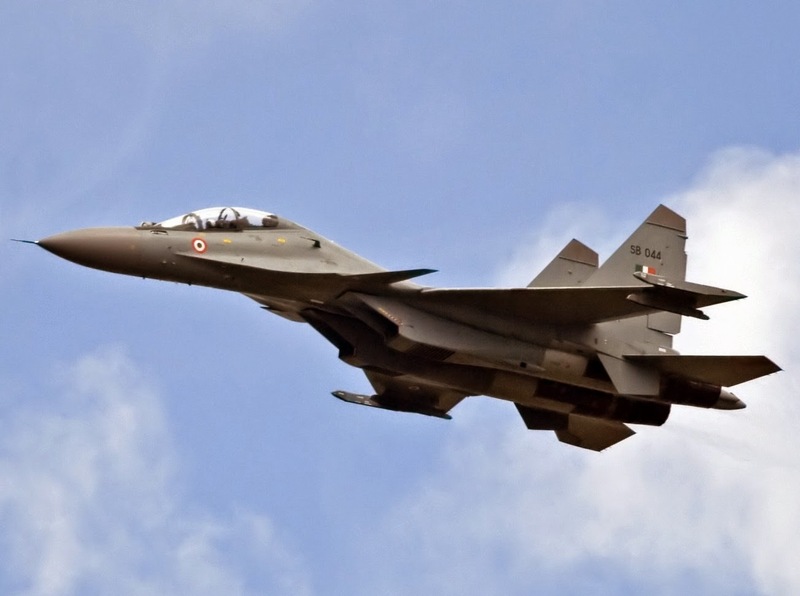 Due to this magnetic field the metal particle mixed with the damping fluid when going through the fluid channels over the piston’s surface got attracted and form number of layers inside the fluid channels. The stiffness due to these metal particles prevents the roll and road shock to transfer to the chassis and makes the ride stable and comfortable. As this system is ECU controlled we can get independent suspension stability with number of different stiffness in all the wheels of the vehicle which in turn makes this system a smart, comfortable and highly stable suspension system. The electromagnetic suspension system are used in cars of Audi, BMW, Mercedes, Tesla etc because of their high cost. It is used in Maglev (magnetic levitation) trains, active magnetic bearing works on this principle of electromagnetic suspension. ← What is Induction Heating?